Is it just me or Samsung seems to be having way more fun with their ads nowadays than they did before? And more than their competitors, that’s for sure. 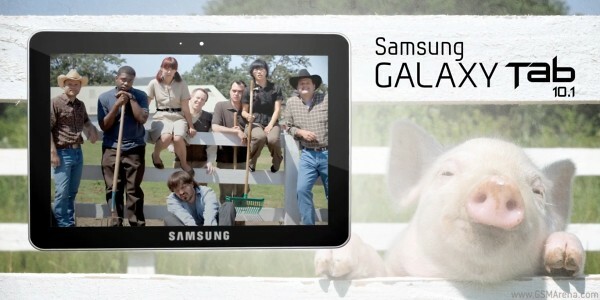 The latest ad for the Galaxy Tab 10.1 is a very upbeat one about a wacky boss that tries to toughen his employees by making them live on a farm. The scenario has all the ingredients you’d expect on a farm – barns, horses, cattle, flocks of goats, the great outdoors, and some Galaxy tablets with incredible internet connections for good measure. Yep, just what I’d want to bring on a farm. Check the video out – it’s some good fun. Judging by this ad, Samsung isn’t at all worried about the heated legal fight with Apple over the tablets and has full confidence in their Galaxy Tab 10.1 slate.